Transport accounts for 31% of South Africa’s energy consumption and 16% of its CO2 emissions. In cities, transport accounts for 56% of energy consumption. Johannesburg is a relatively energy-efficient city in global and national terms, but is relatively inefficient in relation to some cities in developing countries. In 2007, the CO2 emissions per capita were calculated at 5.02 metric tons, which is significantly higher than those of Jakarta (3.5) or Rio de Janeiro (1.9). A range of transport options are available to Johannesburg residents: rail, bus, minibus-taxi, the Rea Vea Bus Rapid Transit System (BRT), metered taxis, tuk tuks, and non-motorized transport. Of these options, the dominant mode of transport is the minibus-taxi. Minibus-taxis control over 1,000 routes in the city, and the average route length is 18 kilometers. The second most prevalent mode of transport, however, is walking, which accounts for 31% of all trips made in the morning peak period. The average length of walking trips was last measured at 23 minutes. Since 2003, when Johannesburg developed its first Integrated Transport Plan (ITP), the aim has been to shift from the historic emphasis on improving mobility for cars to an emphasis on improving mobility and accessibility for people, chiefly through improvements to the public transport system. A milestone in this process was the decision, taken in 2006, to plan and build a BRT system, based on the success of Latin American cities. 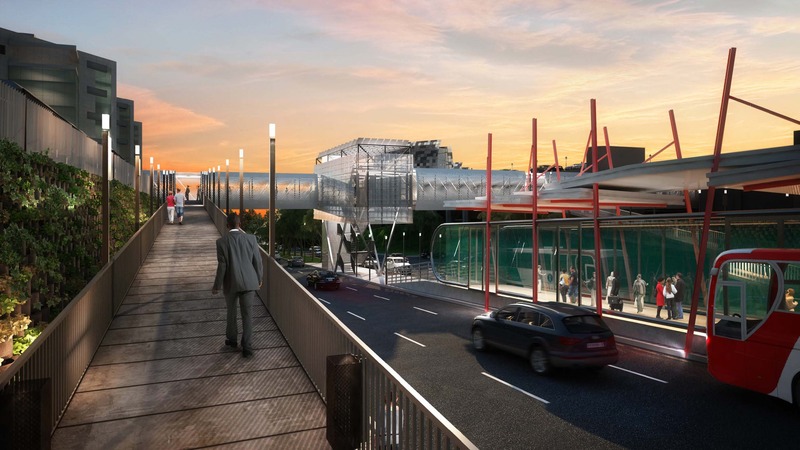 Another major development was the construction of the Gautrain – an 80 kilometer high-speed rail connection linking Johannesburg, Tshwane, and the OR Tambo International Airport. The objective of the Gautrain was to attract private car users to public transport by providing a quality intercity and airport service. The Gautrain transports around 50,000 passengers on an average weekday. As it looks to the future with the Strategic Integrated Transport Plan Framework (published in October 2013), Johannesburg has the vision of “A people-centered transport system that is transformed”. The desired outcome is an efficient, city-wide public transport system located predominantly along high-density, mixed land use corridors. This is very different from the current reality: Johannesburg’s urban form is sprawling, low-desntiy and polycentric. A greater role for walking and cycling for shorter trips within the corridor. A related objective of the Plan is to make public transport, walking and cycling the modes of choice for residents. The Plan recognizes the need for greatly increased integration of public transport services, which must also be universally accessible and environmentally friendly. Historically, the City has not provided quality public transport or adequate biking infrastructure. The Plan sets out to change this, with the integration of cycling at public transport nodes, an increased availability of bicycles, and an amendment to relevant road standards. Above all, Johannesburg is setting out to change the mindset of residents and visitors through awareness campaigns and drives. 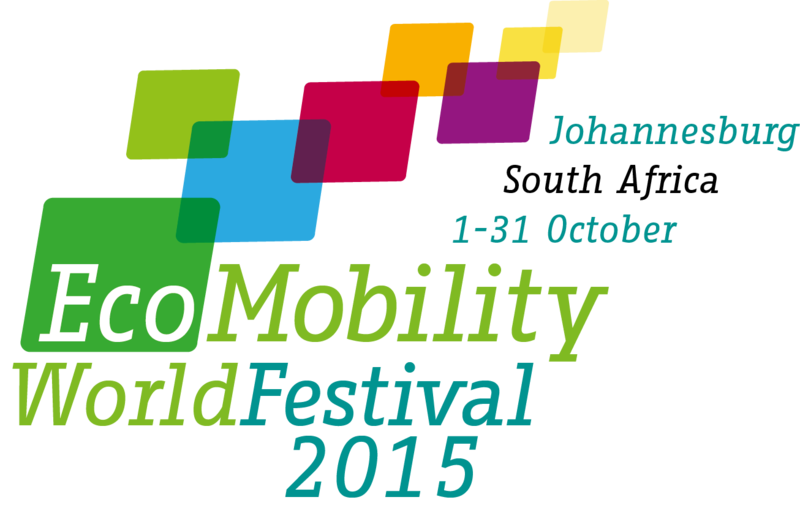 The EcoMobility World Festival 2015 is thus an important part of the Plan. It will help to show residents and visitors that a transition away from private car use is possible. In addition, the City – by making visible infrastructure changes that will remain in place after the Festival, like the public transport loop around Sandton – is demonstrating that, as well as encouraging a transition, it is making it possible.